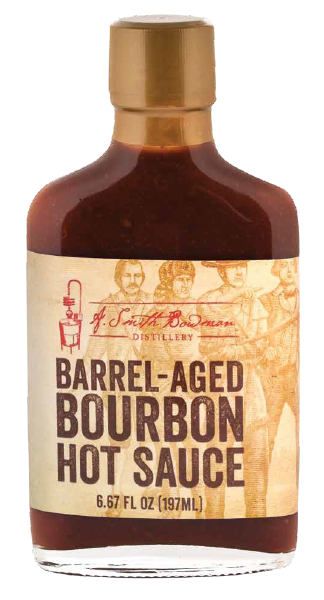 Hog Wild BBQ Sauce will leave you wanting more food with this savory blend of a BBQ Sauce. Our locals are famous for parties with plenty of slow cooked pit pork and oysters for entertaining their guests. It is in that tradition that we offer Hog Wild BBQ Sauce. Enjoy on pork or poultry. SUGGESTED USES: Marinate meat in Wild Hog BBQ Sauce for at least one hour, or simply brush on meat while cooking. Serve extra sauce with cooked meat for added flavor. 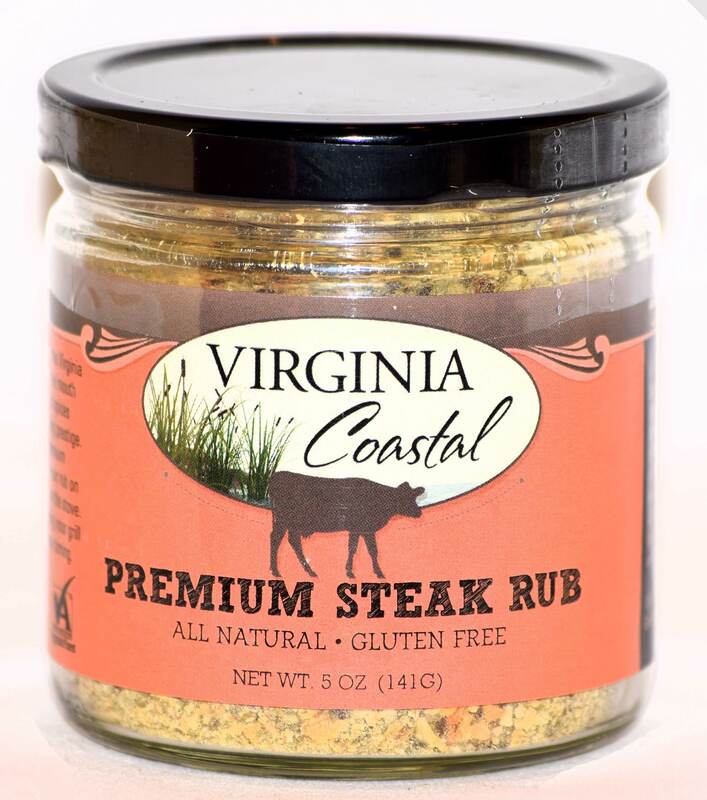 Virginia Coastal Steak Rub is unique blend of spices that will enhance both your steak and your grilling prestige. With a little bit of spice, a hint of salt and lots of flavor, this product makes any meat taste just right. 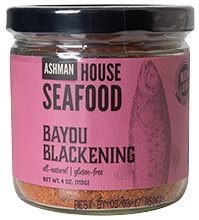 With our steak rub, a little bit goes a long way! SUGGESTED USES: Coat your premium steak with olive oil and then lightly sprinkle our rub on both sides...that’s it. Grill or sear in a pan on the stove. If you’re grilling, we suggest slightly greasing your grill rack before lighting the coals to ensure easy turning. 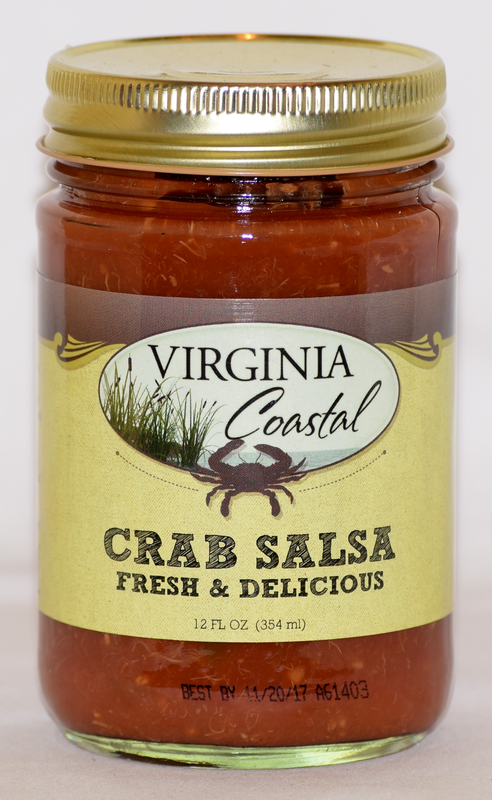 Virginia Coastal Crab Salsa is made with fresh crabmeat straight from the Chesapeake Bay! The Chesapeake Bay locals will tell you that steamed crabs and jumbo lump crabmeat is a delicacy. We have combined fresh jumbo lump crabmeat with our delicious, spicy and ALL NATURAL salsa to create Virginia Coastal Crab Salsa. Suggested Uses: Use it as a dip as well as a topping with cream cheese on crackers. You can also put it on top of a fresh fish fillet to bake in the oven. Let us know what your favorite uses are. Enjoy! 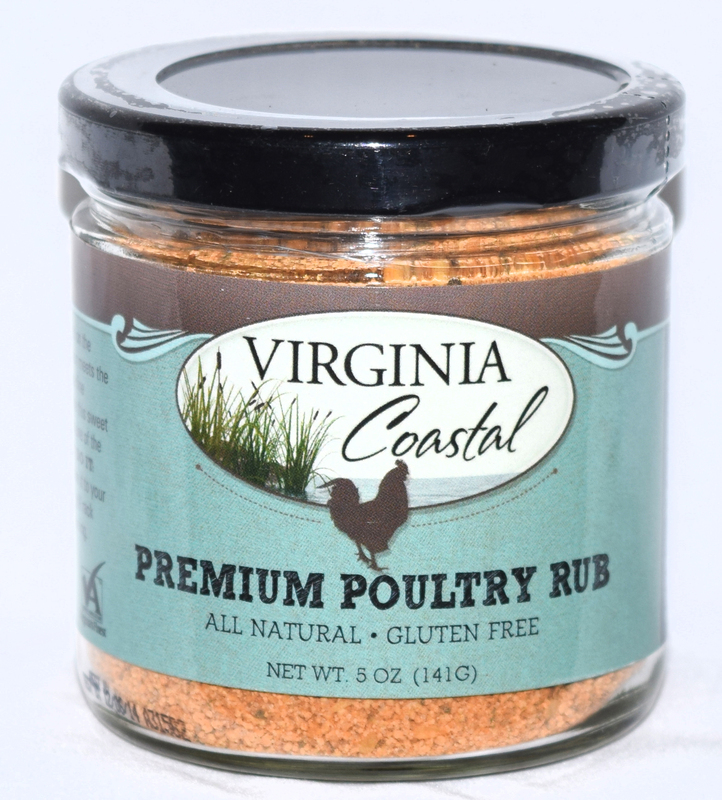 Our Virginia Coastal Premium Poultry Rub is one of a kind! Grilling one fine summer evening, we felt inspired to create this sweet and spicy blend, making what we think is one of the best rubs available. Suggested Use:Sprinkle our poultry rub on poultry then grill or bake it to your liking. We suggest slightly greasing your grill rack before lighting the coals to ensure easy turning.